Todays office is unrestricted in size, shape and style. Our office furniture reflects the need to be flexible, ergonomic, professional and mobile. It may even be in a hallway of a medical practice or hospital. Our executive office furniture components includes desks, credenzas, book cases, files, whiteboards, guest seating and executive seating. Open arrangements are often modular in nature, and may include sit-to-stand desks to provide an alternative to being seated, or mobile for periods of group collaboration. Tell us about your ideal office and let Bakagain Furnish your solution. Bakagain Furniture is proud to introduce the new Electric Height Adjustable Desk – a sturdy desk that not only delivers the health benefits of standing, but makes adjusting its height up or down as simple as clicking a button. 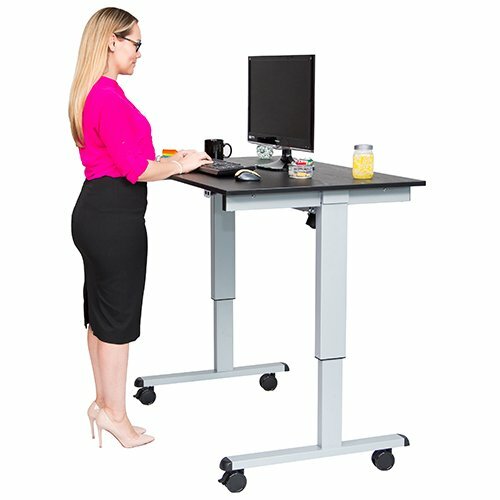 The Electric Standing Desk is a mobile solution for improving employee health and wellness while creating a collaborative atmosphere. Award winning Tablet Laptop Wall Mounted Desk is a compact wall mounted workspace with a channel to plug in & charge your electronic devices. A true space saver, the top door flips down to become a handy desk. The fabric covered panel even serves as a bulletin board. And when you’re done, flip up the door to lock your laptop out of sight. Choose from a wide range of color & fabric combinations to match your décor. 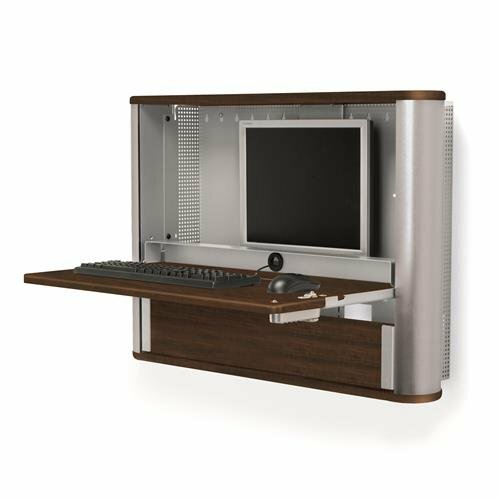 The eNook Pro for monitors wall mounted desk is perfect for flat panels and has a lockable keyboard and mouse tray. It is great for an office or healthcare use. The Monitor PC Wall Desk Pro for Monitors wall mounted workstation is perfect for flat panels because of its universal VESA Mount Rail. It also has an integrated keyboard and mouse tray on the main shelf. Optional CPU Holder and Six Outlet Surge Protected Power Strip.